Health is a pleasure that can not be assessed with property. To maintain health, the body needs to be given a chance to rest. Fasting, which requires not to eat, drink, and perform other acts that break the fast from dawn until sundown is very useful for maintaining physical and spiritual health. It can prevent illness caused by excessive eating. Excessive nutrient food is not necessarily good for one's health. Excess nutrients or overnutrisi cause obesity which can cause degenerative diseases such as high cholesterol and triglycerides, coronary heart disease, diabetes (diabetes mellitus), and others. - Provide an opportunity for the digestive tract to rest. - Freeing the body from toxins, dirt and residue that damage health. - Blocking of food for bacteria, viruses, and cancer cells so that the germs can not survive. Increasing the number of white blood cells and increase endurance. In the first week of fasting undiscovered white blood cell growth. However, starting on the seventh (second week), the addition of white blood cells very rapidly. White blood is a key element in the body's defense system. - Balancing the levels of acid and alkaline in the body. - Improve the function of the hormone that is needed in a variety of physiological and biochemical processes body. Hormones released by endocrine glands and pituitary body's response to various pressures and environmental stress. Deficiency or excess production of certain hormones will adversely affect the health of the body. Eg when subjected to stress, hormones that regulate insulin and adrenaline when disturbed so hungry appetite loss or even come sooner. Production of the hormone insulin deficiency resulted in the emergence of diabetes, whereas when the body will suffer excessive hyperglycemia. At the time of fasting people will be patient and try to hold grudges and always surrender to God. It will make the normal hormone function so that more harmonious rhythm of life. - Rejuvenates the body's cells. When we fast, the organs are in the relaxed position, so as to have the opportunity to renew cells. - Improve the function of organs. Fasting will provide stimulus to all the cells, tissues, and organs. This will produce a stimulating effect, restore, and improve organ function corresponding physiological functions, such as the five senses become sharper. 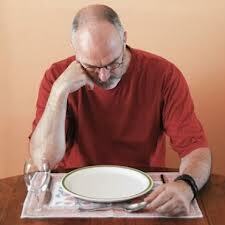 - Fasting increases the function of the reproductive organs. It is associated with rejuvenation of cells that affect cells urogenital and other reproductive organs. Hormones associated with sexual behavior problems are not only generated by the organ ovary (estrogen) and testes (testosterone), but also by the pituitary gland. Rekommended order iftar meal begins with a date, or with fruits and sweet drinks like honey. This doctrine implies health as fruits and sweet drinks is a ready-made fuel that can be readily absorbed by the body to recover after a day the body is not supplied with food and drink. Glucose contained in fruits and sweet drinks are the main source of energy for body cells. Effective Glucose is needed when the body requires energy input needed. Prompts dawn is not merely to get the power of the prime pilgrimage during fasting, but also implies that fasting during fasting necessary preparation for work productivity and daily activities are not disrupted. At the time of Iftar and Suhoor should strive to fulfill the nutrient supply of the elements the body needs, covers six types of nutrients are carbohydrates, proteins, fats, vitamins, minerals, and water. The importance of nutritional balance often neglected because it does not look right. Someone who lack certain nutrients as dangerous as they are certain nutritional advantages. Eating a well balanced portions and nutrition affects the central nervous system and the condition of the body's biochemistry. Eating a balanced meal is nothing short but not too excessive, adjusted for age, the quality and quantity of motion as well as the condition of the body. In some people, the time of fasting have complaints such as feeling weak and lethargic or decreased stamina, as well as digestive disorders such as bloating and stomach upset. Some foods such as honey, ginger, kencur, meeting buffoonery, and other materials can be used to cope with decreased stamina, bloating, and upset stomach during fasting. Here are some natural ingredients that can be used in order to stay fit and fresh fasting. Benefits: increase stamina and maintain stabilitias body to stay healthy and fit, launched the process of metabolism, for beauty and youthfulness, preventing digestive disorders, etc. Benefits: increased stamina and energy, prevent and treat anemia (lack of blood), launched disposal, as a sedative (merileksasi a strained muscle cells), prevents uterine bleeding. Benefits: increase stamina, overcome flatulence, colds, nausea, vomiting, headache, dizziness, fever, etc. Benefits: high cholesterol, increase stamina / tonic, anemia, gastritis / ulcer, flatulence, and others. Benefits: increase stamina, eliminate bad breath, inflammation of the stomach, bloating, nausea, vomiting, colds, and others. Efficacy / effect; inflammation of the stomach, bile expedite expenditure thereby reducing flatulence, nausea, and a sense of fullness in the stomach. Indications: for stomach ulcers, nausea, vomiting, stomach obstruction and bloating. We believe it’s never too late or too early to begin taking care of your skin Our cosmetological solutions have been developed keeping in mind the general needs of your skin as well as the various problems that could possibly affect it. How Much Fat Should consumed Every Day?